Many industries, including the utility industry, face a looming problem brought on by a maturing workforce. A retirement wave could have devastating effects for businesses, particularly in the area of knowledge retention. There’s also the need to find qualified replacement employees. Luckily for industries facing this problem, help is available. That’s because the other reality the country is dealing with is veterans returning from active duty and having trouble finding jobs. Many are returning home without a clear path toward a job, or the ability to apply the skills they learned in the armed services to civilian work life. According to the Department of Veterans Affairs approximately 190,000 to 200,000 active-duty service members will separate from the military annually over the next quarter-century. The need for a quality, highly skilled energy workforce, coupled with the availability of qualified veterans looking for employment, seems the perfect opportunity to solve two problems at once. Veterans bring needed leadership and technical skills. Military occupations fit critical job categories. Veterans share values on commitment to serve. Veterans fill the gap created by experienced workers who retire. There is potential to reduce training costs and time. The Bureau of Labor Statistics estimates that more than 500,000 people work in the utility industry. Ten years from now, many of those employees could be new faces, due to retirement or attrition, according to the Center for Energy Workforce Development’s most recent Gaps in the Workforce Pipeline Survey. The survey found that 46 percent of skilled craft workers and engineers may need to be replaced in the coming decade. If utilities aren’t planning to fill this coming employment gap now, and identifying the pipelines to deliver thousands of engineers, technicians, line workers, plant operators, and pipefitters for jobs in traditional energy fields, as well as for jobs that are changing as new technologies are introduced, they may find themselves short-handed. CEWD, in partnership with the Edison Electric Institute and six pilot electric companies, developed the Troops to Energy Jobs Initiative. This initiative is designed to establish and maintain outreach to groups and companies across the country to assist in recruiting qualified veterans. Energy Northwest began in 2015 to focus its efforts and resources on developing a variety of programs and partnerships to reach veterans in the Pacific Northwest. As part of the Troops to Energy Jobs initiative, the agency expanded partnerships with regional military bases and veterans. Veterans were sought out because of their prior training, says Steve Lorence, human resources manager at Energy Northwest. “Many veterans have specific skills, experiences and leadership qualities that utilities value in the workplace,” Lorence says. The nuclear energy industry has a natural connection with veterans through the nuclear Navy, the U.S. Navy’s fleet of nuclear-powered ships and submarines. 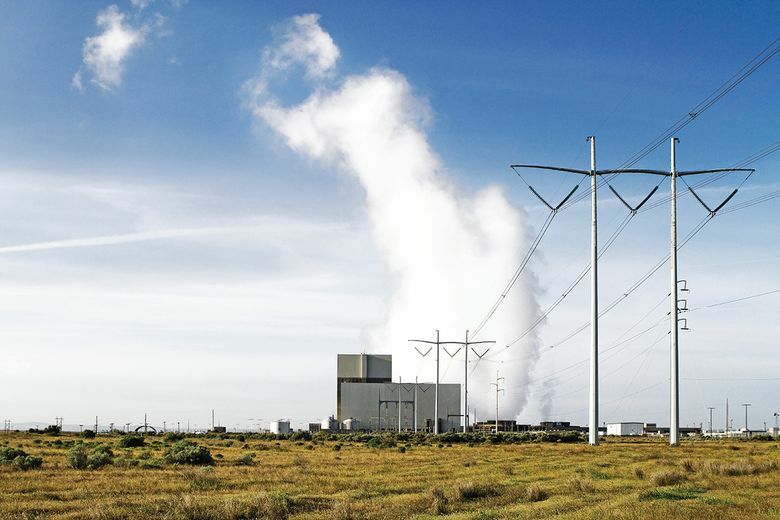 Most of the operators who run Columbia Generating Station, the Northwest’s nuclear energy facility, served at sea, training to run nuclear-powered vessels or repairing the equipment and systems that allow them to operate. 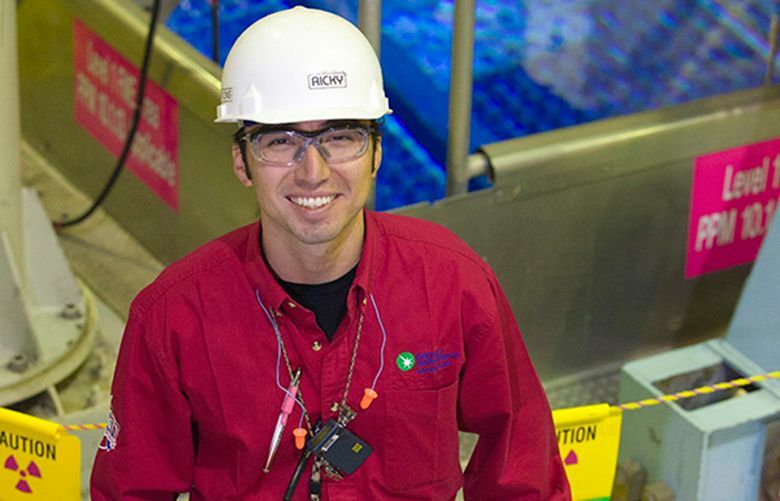 “As a submarine electrician, I was responsible for maintaining the boat’s electrical distribution system and maintaining and repairing all electrical equipment on board, from washing machines to steam-driven turbine generators,” said Ricky Mendoza, now an equipment operator at Energy Northwest. Mendoza serves as the “eyes and ears” of the main control room, manipulating equipment in the plant. His last duty station in Bremerton, Washington was just a four-hour drive from Columbia Generating Station. “My Navy experience paralleled my current position at Columbia in many ways. First, it gave me the technical expertise needed to quickly become a contributing member of the Operations team,” Mendoza says. But he says the most important attribute gained from his military service was the solid establishment of the “honesty and integrity” culture. In fact, the G.I. Jobs® list of hot jobs for veterans includes electrician, operations manager, cybersecurity technician and many others compatible with utilities. Energy Northwest also developed a close partnership with the Columbia Basin WorkSource veteran’s representative for recruitment and job placement assistance. The agency is one of the leading participants in Washington state’s YesVets program, a statewide program to assist with employing veterans in the state.